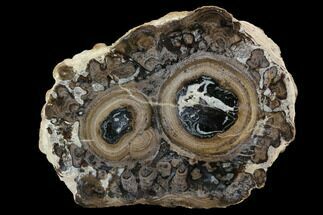 This is a beautiful, 5.7" wide slab of Permian aged petrified wood from the tree fern, Tietea singularis. 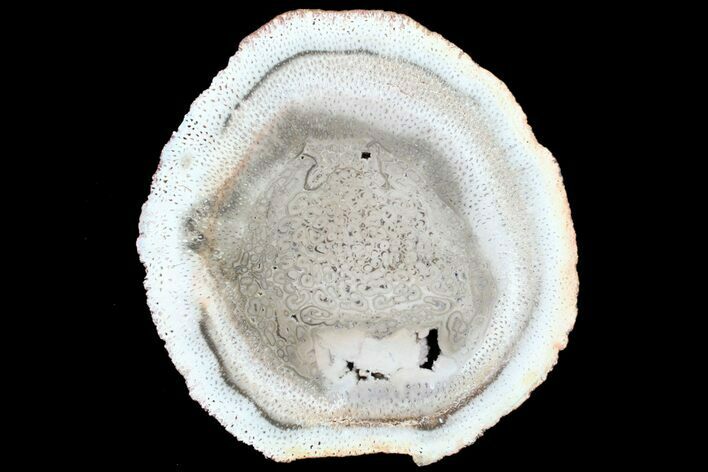 The inner wood detail is very fascinating. 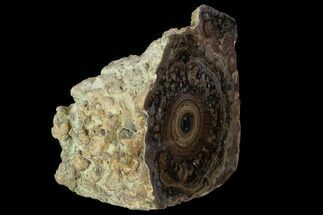 It comes from the Araguania petrified forest of Brazil and there is only one legal mining claim in the region. 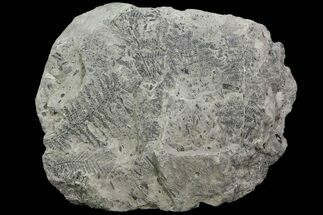 It has been nicely polished on both sides to display the very interesting, fossilized internal structure of the plant.